PRESIDENT Mnangagwa yesterday described as shocking and sad the death of Zimbabwe’s ambassador to Sweden, Samuel Chihondo Mhango, saying he was a committed cadre who dedicated his life to serving the country. 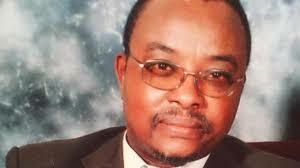 Ambassador Mhango died in Harare on Sunday from a heart ailment. In a statement, President Mnangagwa consoled the Mhango family over the death of the accomplished diplomat. “I learnt with deep sadness of the death yesterday of our ambassador to Sweden, Cde Samuel Chihondo Mhango,” he said. President Mnangagwa said Ambassador Mhango would be missed. “The nation has thus lost a committed cadre of the liberation struggle, an accomplished diplomat, who dedicated his whole life and career to serving his country and people with selfless distinction,” he said. President Mnangagwa said the nation grieved with the Mhango family. “On behalf of Government, the people of Zimbabwe whom Cde Mhango represented so faithfully and loyally, on my own behalf and that of my family, I wish to express deep sorrow and sympathy to Mrs Mhango, his children and the entire Mhango family, on their sad loss of a husband, father and family pillar,” he said. Foreign Affairs and International Trade Minister Dr Sibusiso Moyo said Ambassador Mhango was a distinguished diplomat. “It was with profound grief and shock that the Minister of Foreign Affairs and International Trade Hon. Dr Lt Gen (Rtd) S.B. Moyo, the Secretary for Foreign Affairs and International Trade Ambassador J. Manzou and the entire staff learnt of the sad passing on of Ambassador Samuel Chihondo Mhango, Zimbabwe’s Ambassador to Sweden in the evening of January 27 in Harare,” he said. “On behalf of the Ministry, we wish to express our deepest and most sincere condolences to H.E the President of the Republic of Zimbabwe, Cde E.D Mnangagwa, Mrs Mhango and family and Government and people of Zimbabwe on this tragic and untimely loss. Minister Moyo chronicled Ambassador Mhango’s achievements. “Ambassador Mhango was born in Zvishavane in the colonial Rhodesia on February 16 1958 and did his primary and secondary school education in his rural home,” he said. “He joined the liberation struggle in Zambia in 1976 under the auspices of ZAPU. Minister Moyo said due to his sterling work, Ambassador Mhango rose through the ranks to become ambassador in October 2014. Ambassador Mhango served Zimbabwe in various positions in Nigeria, Malaysia, Switzerland, Ethiopia and South Africa. Minister Moyo said Ambassador Mhango will be remembered for his deep friendship, unassuming composure, steadfastness, civility, diligence, light heartedness and camaraderie. “The Ministry and the whole Government has lost a true patriot, a pan-Africanist and a champion of the Zimbabwean interests and cause, both before and after independence,” he said.